The meeting went well. I think I did most of the talking but that's normal. I love a bit of babbling. Especially if I'm nervous. We couldn't have asked for a nicer set of parents for Jelly-Tot. On one hand, we are all very different but Mrs Jelly-tot and I have a little in common. She bakes and she sews. Instant friends. LRUN and I were keen to meet up again with them, this time with the kiddie winks. But they have their own birth son, who has proudly labelled himself as her 'big brother' for a while now. We need to tread very carefully here introducing LBM as the new brother. So we're going to give it some time. As long as their little boy needs. We gave them some photos of LBM to put up at home and I could see them oohing over him. She is so different to LBM. They have the same cheeks but she is completely opposite to him. How do I feel after the meeting? I'm honestly ok with it. I looked at photos of her with interest, like you do when looking at friends babies. There was no sadness. Maybe its because LBM tops her on the cuteness front. Big time. It did feel strange seeing Miss Delia again. I looked at her in a totally different light this time. Probably as she was no longer 'assessing' us and we certainly weren't watching what we were saying. She did prepare us for the latest news that tummy mummy has been locked up for a minor offence. Sad and distressing to hear but at the same time, it really emphasises that they made the right choice in granting the adoption order. I wonder where he would be today if not. Mrs Curly Wurly and family looked after him for the morning and he had an absolute blast with them. There were no tears, he made rice crispie cakes with them and charmed them beyond belief. They kept telling me what a wonderful little soul he is. Hashtag proud mummy. Needless to say, LRUN hoovered all the rice crispie cakes but I need to be careful on the cake front. Back at a desk three days a week is not doing my waistline any favours. Especially as I stumbled across this bombshell. 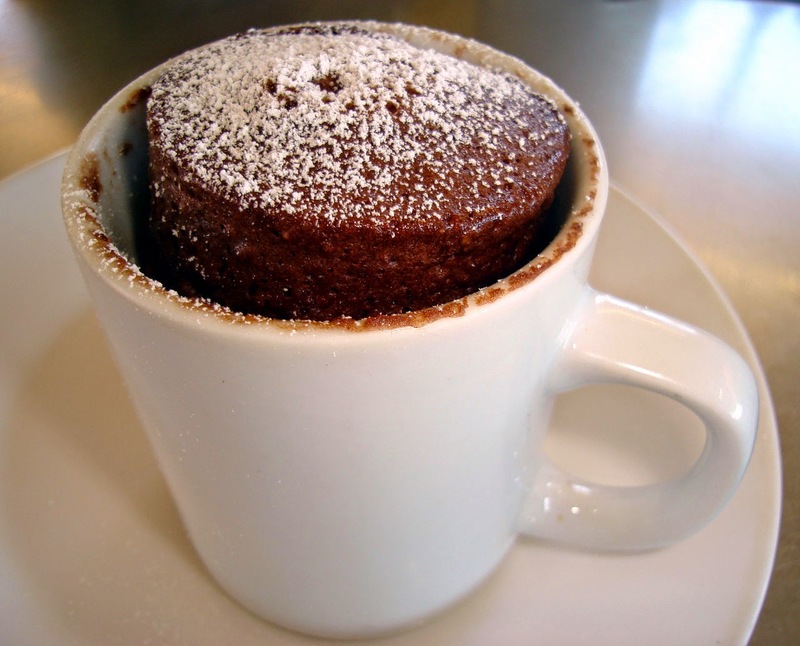 Brownie in a mug in under 2 minutes? You're not serious? Oh, I'm afraid I am. I added vanilla and sea salt. In the time it takes to go and get a scoop of ice cream to add....Ping...It's ready. Poor heaven but oh so dangerous. It feels good to be back at work. Well, in some ways anyway. I do find my mind still wonders. Looking at the time, wondering what LBM is up to at nursery. He's already made best friends with the chef, so I know the little guy will be just fine. There are still a few tears on drop off but they assure me he settles pretty quickly after we've gone. "Ooh look, tractor!" Certainly when I pick him up, I can hear him babbling away and laughing from the hallway. They have a great window you can view the little ones from without them realising and its fascinating stuff to watch him play. Engaging with others. Just being him. He is such a little champion and really has settled in well and I know we have made the right decision here...until we got the bill that is. Holy macaroni! The last few weeks have seen him turn the big two. He was so excited about it being his birthday. Nothing to do with me singing Will-I-Am's new single at full pelt to him in the week run up to his big day. Honest. Presents and cards flowed through the door and for once, it was his turn to join in the birthday celebrations on Cbeebies. We made the decision to forego the party this year but we had a great day all together, just our little family, jumping in muddy puddles and of course, lots of cake. On the developmental front, his speech is still delayed and they have now clocked him as six months behind. This was always my fear. The older he gets, the more behind he is getting as there is so much to catch up on. But the speech therapists are on-board (albeit intermittently) and things are progressing. He is talking, in fact he has long conversations with us, the dog, whoever will listen really. It's just not English. Portuguese maybe but not English. Not even close. Tomorrow is the big meet up with Jelly-tot's new parents. I'm not even thinking about how awkward it's going to be. That's a waste of energy. I'd rather channel that energy into just being me and making a new set of friends that I hope we can continue to meet up with, so LBM and Jelly-tot can be together as often as possible. It will be interesting to see Miss Delia again. So much has changed. 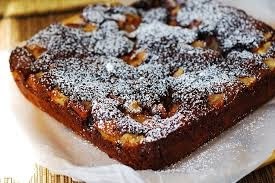 Ooh...ooh...I must share: I was given some perfectly ripe pears the other day and stumbled upon this recipe for Chocolate Pear Cake. It was outrageously good. In fact, I'm on the scrounge for some more pears just so I can make it again. I may even add a scoop of vanilla ice cream. Dynamite!